Since the earliest days of the nation, the rise of wealth in the United States brought enormous mansions, manor homes, summer homes, and family compounds constructed by the country's most successful business people. America's first leaders modeled their homes after the grand manors of Europe, borrowing classical principles from ancient Greece and Rome. During the Antebellum period before the Civil War, affluent plantation owners built stately Neoclassical and Greek Revival manors. Later, during America's Gilded Age, newly-rich industrialists lavished their homes with architectural details drawn from a variety of styles, including Queen Anne, Beaux Arts, and Renaissance Revival. The mansions, manors, and grand estates in this photo gallery reflect the range of styles explored by America's wealthy classes. Many of these homes are open for tours. Gilded Age architect Stanford White lavished Beaux Arts ornaments on Rosecliff mansion in Newport, Rhode Island. Also known as the Herman Oelrichs House or the J. Edgar Monroe House, the "cottage" was constructed between 1898 and 1902. Architect Stanford White was prominent architect famous for his elaborate Gilded Age buildings. Like other architects of the period, White took inspiration from the Grand Trianon château at Versailles when he designed Rosecliff in Newport, Rhode Island. Constructed of brick, Rosecliff is clad in white terracotta tiles. The ballroom has been used as a set in many movies, including "The Great Gatsby" (1974), "True Lies," and "Amistad." Thomas Jefferson helped design the stately stone Belle Grove Plantation home in the northern Shenandoah Valley, near Middletown, Virginia. When Isaac and Nelly Madison Hite decided to build a manor home in the Shenandoah Valley, about 80 miles west of Washington, D.C., Nelly's brother, the future President James Madison, suggested they seek design advice from Thomas Jefferson. Many of the ideas Jefferson suggested were used for his own home, Monticello, completed a few years before. Overlooking the Atlantic Ocean, Breakers Mansion, sometimes called simply Breakers, is the largest and most elaborate of Newport's Gilded Age summer homes. Built between 1892 and 1895, the Newport, Rhode Island, "cottage" is another design from the famous architects of the Gilded Age. Wealthy industrialist Cornelius Vanderbilt II hired Richard Morris Hunt to build the lavish, 70-room mansion. Breakers Mansion overlooks the Atlantic Ocean and is named for the waves crashing into the rocks below the 13-acre estate. Breakers Mansion was built to replace the original Breakers, which was made of wood and burned down after the Vanderbilts purchased the property. Today, Breakers Mansion is a National Historic landmark owned by the Preservation Society of Newport County. For 25 years during the Gilded Age, Astors' Beechwood Mansion was at the center of Newport society, with Mrs. Astor as its queen. One of Newport's oldest summer cottages, Astors' Beechwood was originally built in 1851 for Daniel Parrish. It was destroyed by fire in 1855, and a 26,000-square-foot replica was built two years later. Real estate mogul William Backhouse Astor, Jr. purchased and restored the mansion in 1881. William and his wife, Caroline, better known as "The Mrs. Astor," hired architect Richard Morris Hunt and spent two million dollars renovating Astors' Beechwood into a place worthy of America's finest citizens. Although Caroline Astor only spent eight weeks a year at Astors' Beechwood, she packed them full of social activities, including her renowned summer ball. For 25 years during the Gilded Age, Astors' Mansion was society's center, and The Mrs. Astor was its queen. 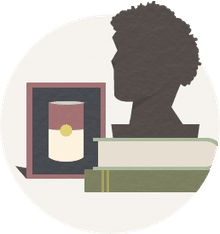 She created "The 400," the first American social register of 213 families and individuals whose lineage could be traced back at least three generations. Noted for its fine Italianate architecture, Beechwood was well-known for guided living-history tours with actors in period dress. The mansion was also an ideal site for murder mystery theater — some visitors claim that the grand summer home is haunted, and have reported strange noises, cold spots, and candles blowing out by themselves. In 2010, billionaire Larry Ellison, founder of Oracle Corp., bought Beechwood Mansion to house and display his art collection. Restorations are underway led by John Grosvenor of Northeast Collaborative Architects. Great American Mansions: Vanderbilt Marble House Vanderbilt Marble House in Newport, RI. Photo by Flickr Member "Daderot"
Railroad baron William K. Vanderbilt spared no expense when he built a cottage in Newport, Rhode Island, for his wife's birthday. Vanderbilt's grand "Marble House," built between 1888 and 1892, cost $11 million, $7 million of which paid for 500,000 cubic feet of white marble. Marble House was designed as a summer house, what Newporters called a "cottage." In reality, Marble House is a palace that set the precedent for the Gilded Age, Newport's transformation from a sleepy summer colony of small wooden cottages to a legendary resort of stone mansions. Alva Vanderbilt was a prominent member of Newport society, and considered Marble House her "temple to the arts" in the United States. Did this lavish birthday gift win the heart of William K. Vanderbilt's wife, Alva? Perhaps, but not for long. The couple divorced in 1895. Alva married Oliver Hazard Perry Belmont and moved to his mansion down the street. Designed by Alexander Jackson Davis, Lyndhurst in Tarrytown, New York, is a model of the Gothic Revival style. The mansion was built between 1864 and 1865. Lyndhurst began as a country villa in the "pointed style," but over the course of a century it was shaped by the three families who lived there. In 1864-65, New York merchant George Merritt doubled the size of the mansion, transforming it into a grand Gothic Revival estate. He coined the name Lyndhurst after the Linden trees that were planted on the grounds. Hearst Castle in San Simeon, California, showcases the painstaking craftsmanship of Julia Morgan. The lavish structure was designed for William Randolph Hearst, the publishing mogul, and built between 1922 and 1939. Architect Julia Morgan incorporated Moorish design into this 115-room, 68,500 square foot Casa Grande for William Randolph Hearst. Surrounded by 127 acres of gardens, pools, and walkways, Hearst Castle became a showplace for the Spanish and Italian antiques and art that the Hearst family collected. Three guest houses on the property provide an additional 46 rooms — and 11,520 more square feet. Biltmore Estate in Asheville, North Carolina, took hundreds of workers years to complete, from 1888 to 1895. At 175,000 square feet (16,300 square meters), the Biltmore is the largest privately owned home in the United States. Gilded Age architect Richard Morris Hunt designed the Biltmore Estate for George Washington Vanderbilt at the end of 19th century. Constructed in the style of a French Renaissance chateau, the Biltmore has 255 rooms. It is of brick construction with a facade of Indiana limestone blocks. About 5,000 tons of the limestone was transported in 287 rail cars from Indiana to North Carolina. Landscape architect Frederick Law Olmsted designed the gardens and grounds surrounding the mansion. 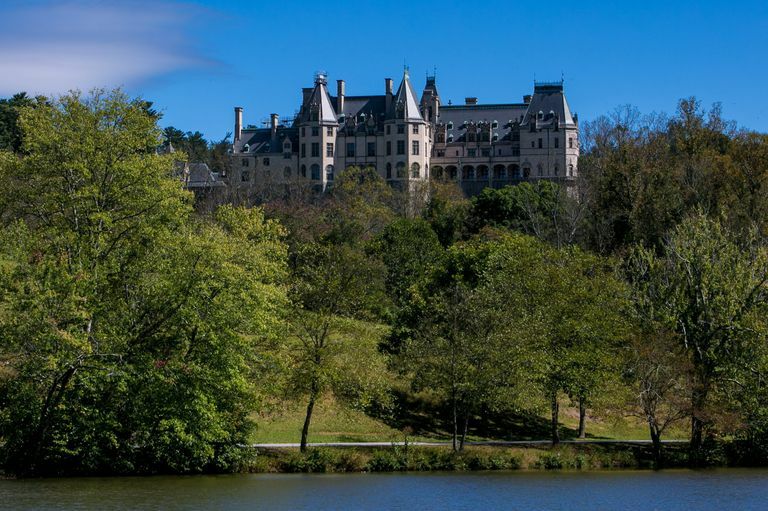 Vanderbilt's descendants still own Biltmore Estate, but it is now open for tours. Visitors can spend the night at an adjacent inn. The Belle Meade Plantation house in Nashville, Tennessee, is a Greek Revival mansion with a wide veranda and six massive columns made of solid limestone quarried from the property. The grandeur of this Greek Revival Antebellum mansion belies its humble beginnings. In 1807, Belle Meade Plantation consisted of a log cabin on 250 acres. The grand house was built in 1853 by architect William Giles Harding. By this time, the plantation had become a prosperous, world-renowned 5,400-acre thoroughbred horse nursery and stud farm. It produced some of the best racehorses in the South, including Iroquois, the first American-bred horse to win the English Derby. During the Civil War, Belle Meade Plantation was the headquarters of Confederate General James R. Chalmers. In 1864, part of the Battle of Nashville was fought in the front yard. Bullet holes can still be seen in the columns. Financial hardship forced an auction of the property in 1904, at which time Belle Meade was the oldest and largest thoroughbred farm in the United States. Belle Meade remained a private residence until 1953, when Belle Meade Mansion and 30 acres of the property were sold to the Association for the Preservation of Tennessee Antiquities. Today, the Belle Meade Plantation house is decorated with 19th-century antiques and is open for tours. The grounds include a large carriage house, stable, log cabin, and several other original buildings. Belle Meade Plantation is listed in the National Register of Historic Places and is featured on the Antebellum Trail of Homes. Massive oak trees frame the Antebellum Oak Valley Plantation house in Vacherie, Louisiana. Built between 1837 and 1839, Oak Alley Plantation (L'Allée des chênes) was named for a quarter-mile double row of 28 live oaks, planted in the early 1700s by a French settler. The trees extended from the main house down to the shore of the Mississippi River. Originally called Bon Séjour (Good Stay), the house was designed by architect Gilbert Joseph Pilie to mirror the trees. The architecture combined Greek Revival, French Colonial, and other styles. The most stunning feature of this Antebellum house is the colonnade of twenty-eight 8-foot round Doric columns — one for each oak tree — that support the hip roof. The square floor plan includes a central hall on both floors. As was common in French Colonial architecture, the wide porches can be used as passageway between rooms. Both the house and the columns are made of solid brick. In 1866, Oak Alley Plantation was sold at auction. It changed hands several times and gradually deteriorated. Andrew and Josephine Stewart bought the plantation in 1925 and, with the help of architect Richard Koch, restored it completely. Shortly before her death in 1972, Josephine Stewart created the non-profit Oak Alley Foundation, which maintains the house and 25 acres surrounding it. Today, Oak Alley Plantation is open daily for tours, and includes a restaurant and inn. Long Branch Estate in Millwood, Virginia, is a Neoclassical home designed in part by Benjamin Henry Latrobe, architect of the U.S. Capitol. For 20 years before this mansion was built, the land along the Long Branch Creek was being farmed by enslaved labor. The master's home on this wheat plantation in northern Virginia was largely designed by Robert Carter Burwell — like Thomas Jefferson, the gentleman farmer. Long Branch Estate in Virginia has a long and interesting history. George Washington assisted in the original property survey, and the land passed through the hands of a number of famous men, including Lord Culpeper, Lord Fairfax, and Robert "King" Carter. In 1811, Robert Carter Burwell began building the mansion based on classical principles. He consulted with Benjamin Henry Latrobe, who was an architect of the U.S. Capitol and who also designed the graceful portico for the White House. Burwell died in 1813, and Long Branch Estate was left unfinished for 30 years. Hugh Mortimor Nelson purchased the estate in 1842 and continued construction. Using designs by the architect Minard Lafever, Nelson added intricate woodwork, which is considered some of the finest examples of Greek Revival craftsmanship in the United States. In 1986, Harry Z. Isaacs acquired the estate, began a complete restoration. He added the west wing to balance the façade. When Isaacs learned that he had terminal cancer, he established a private, non-profit foundation. He died in 1990 shortly after the restoration was complete, and left the house and 400-acre farm to the foundation so that Long Branch would be available for the enjoyment and education of the public. Today Long Branch is operated as a museum by the Harry Z. Isaacs Foundation. When the American statesman Thomas Jefferson designed Monticello, his Virginia home near Charlottesville, he combined the great European traditions of Andrea Palladio with American domesticity. The plan for Monticello echoes that of Palladio's Villa Rotunda from the Renaissance. Unlike Palladio's villa, however, Monticello has long horizontal wings, underground service rooms, and all sorts of "modern" gadgets. Built in two stages, from 1769-1784 and 1796-1809, Monticello got its own dome in 1800, creating a space Jefferson called the sky-room. The sky-room is just one example of the many changes Thomas Jefferson made as he worked on his Virginia home. Jefferson called Monticello an "essay in architecture" because he used the house to experiment with European ideas and to explore new approaches to building, beginning with a Neo-classical aesthetic. Chelsea Clinton, raised in the White House during the administration of U.S. President William Jefferson Clinton, selected the Beaux Arts Astor Courts at Rhinebeck, New York, as the site of her July 2010 wedding. Also known as Ferncliff Casino or Astor Casino, Astor Courts was built between 1902 and 1904 from designs by Stanford White. It was later renovated by White's great-grandson, Samuel G. White of Platt Byard Dovell White Architects, LLP. At the turn of the twentieth century, wealthy homeowners often erected small recreation houses on the grounds of their estates. These sporting pavilions were called casinos after the Italian word cascina, or little house, but were sometimes quite large. John Jacob Astor IV and his wife, Ava, commissioned noted architect Stanford White to design an elaborate Beaux Arts style casino for their Ferncliff Estate in Rhinebeck, New York. With an expansive columned terrace, the Ferncliff Casino, Astor Courts, is often compared to Louis XIV’s Grand Trianon at Versailles. John Jacob Astor IV did not enjoy Astor Courts for long. He divorced his wife Ava in 1909 and married the younger Madeleine Talmadge Force in 1911. Returning from their honeymoon, he died on the sinking Titanic. Astor Courts passed through a succession of owners. During the 1960s the Catholic Diocese operated a nursing home at Astor Courts. In 2008, owners Kathleen Hammer and Arthur Seelbinder worked with Samuel G. White, great-grandson of the original architect, to restore the casino's original floor plan and decorative details. Chelsea Clinton, daughter of U.S. Secretary of State Hillary Clinton and former U.S. President Bill Clinton, selected Astor Courts as the site of her July 2010 wedding. Astor Courts is privately owned and not open for tours. Designed by Frank Furness, the 1878 Emlen Physick Estate in Cape May, New Jersey is a hallmark example of Victorian Stick Style architecture. The Physick Estate at 1048 Washington Street was the home of Dr. Emlen Physick, his widowed mother, and his maiden aunt. The mansion fell into disrepair during the twentieth century but was rescued by the Mid Atlantic Center for the Arts. The Physick Estate is now a museum with the first two floors open for tours. The founder of colonial Pennsylvania, William Penn, was a prominent and respected Englishman and a leading figure in the Society of Friends (Quakers). Although he only lived there for two years, Pennsbury Manor was his dream come true. He began building it in 1683 as a home for himself and his first wife, but was soon forced to go to England and was not able to return for 15 years. During that time, he wrote detailed letters to his overseer explaining exactly how the manor should be built, and finally moved into Pennsbury with his second wife in 1699. The manor was an expression of Penn's belief in the wholesomeness of country life. It was easily accessible by water, but not by road. The three-story, red brick mansion included spacious rooms, wide doorways, casement windows, and a great hall and great room (dining room) large enough to entertain many guests. William Penn left for England in 1701, fully expecting to return, but politics, poverty, and old age ensured that he never saw Pennsbury Manor again. When Penn died in 1718, the burden of administering Pennsbury fell upon his wife and overseer. The house fell into ruin and, bit by bit, the entire property was eventually sold off. In 1932, nearly 10 acres of the original property were presented to the Commonwealth of Pennsylvania. The Pennsylvania Historical Commission hired an archaeologist/anthropologist and a historical architect who, after painstaking research, rebuilt Pennsbury Manor on the original foundations. This reconstruction was possible thanks to archaeological evidence and William Penn's detailed letters of instruction to his overseers over the years. The Georgian-style house was reconstructed in 1939, and the following year the Commonwealth purchased 30 adjacent acres for landscaping.